Killeen, TX residents are getting ready to welcome a brand new 24-hour emergency room in their neighborhood. 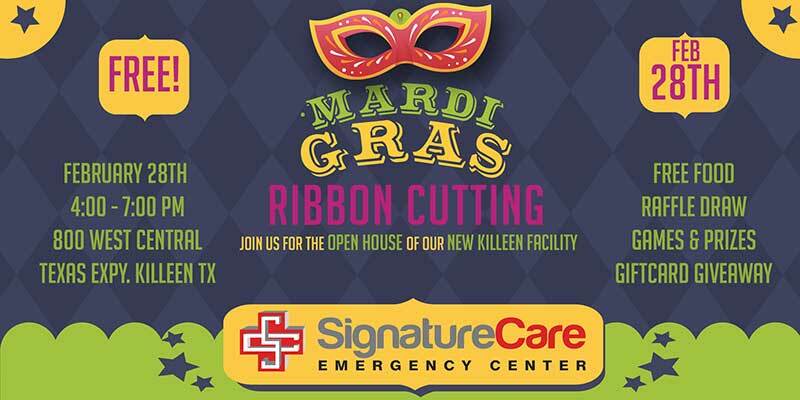 Join us in our new Killeen Emergency Room on February 28, 2018 from 4:00 pm to 7:00 pm, for our Masquerade Mardi Gras Ribbon Cutting and Open House. We are always happy to host our friends from nearby areas and this occasion is no different. Laissez les bons temps rouler! 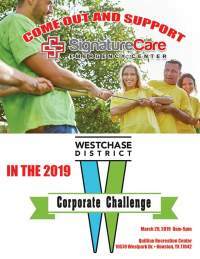 That’s Cajun French for “Let the good times roll!” We will be having free food, games and door prizes, gift card giveaways, and a door prize raffle! So bring your Super Krewe and get your Mardi on! Joie de vivre! The new emergency room is located at 800 West Central Texas Expressway, Killeen, TX 76541. 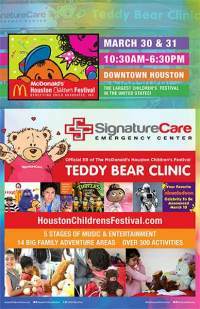 Be sure to stop and say hello to our doctors, nurses and other support staff while there. They are looking forward to meeting you and your family.